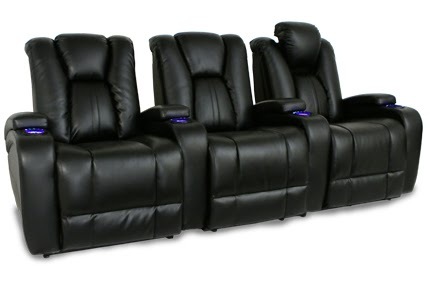 In the past few months, Seatcraft has rolled out an impressive new line of home theater seats. Each is an essential addition to the Signature series, featuring such standard Signature features as chaiselounger seating, lighted cup holders, and in-arm storage. 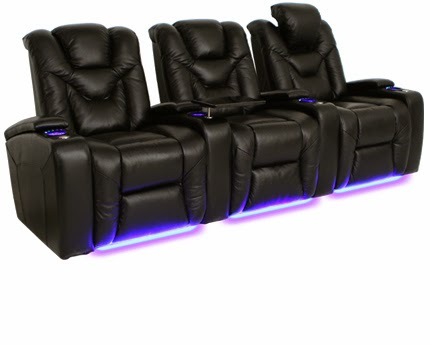 These seats also boast a new hi-tech feature, which is sure to make them a favorite among home theater owners--power adjustable headrests. The power adjustable headrest works much as the power recline feature does--it allows you to move a section of the seat, at the simple push of a button. The power option allows for the greatest flexibility in positioning, as the headrest will stop at any place the individual feels is comfortable for their head, neck, and shoulder placement. Rather than staying in the same position for hours, one can constantly re-adjust their setting at will; such freedom of movement reduces neck and shoulder fatigue, allowing you to better focus on the screen action. The power headrest is more than just a convenience; it's a necessity for anyone who spends a lot of time in their home theater. Of the new seats which feature the power headrest, the Richmond stands out for its Leather 7000 material construction and unique black onyx shade. Black onyx has a reflective shine which gives the seat a deluxe appearance, while Leather 7000 is carefully handpicked from the top third of all hides to produce a leather that is superior in texture and suppleness. The Richmond also comes with included tray tables, ambient base lighting and lighted cup holders for a well-rounded array of convenient features. The Element also features Leather 7000 in black onyx, but distinguishes itself with a striking, geometric stitch pattern that cuts a stylish "V"-shape across the seat back. The Phantom is a chair that features a sporty, muscular three-part seat back with a bolstered frame, that provides plenty of cradling support to the upper body. It is topped by a padded headrest and comes with beautiful burlwood tray tables, lighted cup holders, ambient base lighting, and an accessory mount with which to attach tablets, reading lights, wine glass caddies and more options. The Odyssey comes in 100% genuine bonded leather, which mimics much of the soft texture and swank appearance of full grain leather, at a superb value. 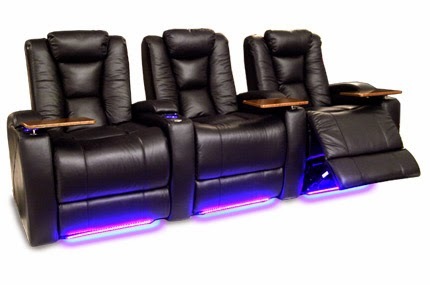 As with the other chairs, it boasts chaiselounger seating for full cushioned support to the lower body, lighted cup holders, in-arm storage compartments, and a wall-hugger design that allows it to be placed just inches from any wall, even in full recline. 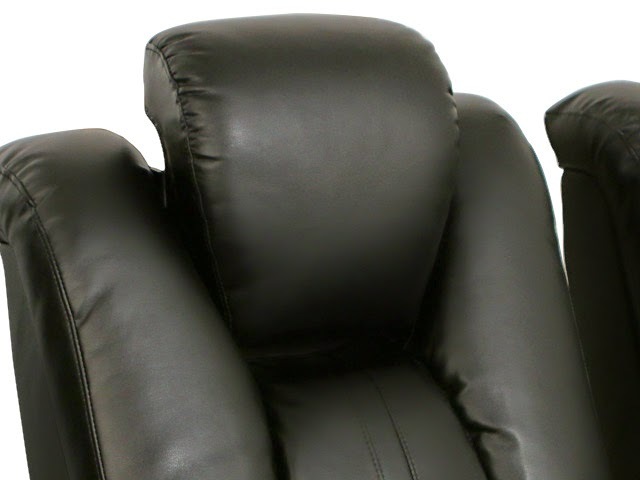 Each chair in the power headrest series comes with its own unique character, so it's just a matter of choosing which one of these sumptuous designs will best meet your home theater needs. One thing's for sure, however--your head, neck, and shoulders will thank you!